The card I'm sharing with you today is one of three identical that I've created for a commission for my client, Vickie's children's teachers. I've personalized the verses with each of the teacher's names, having found the verse on Pinterest. 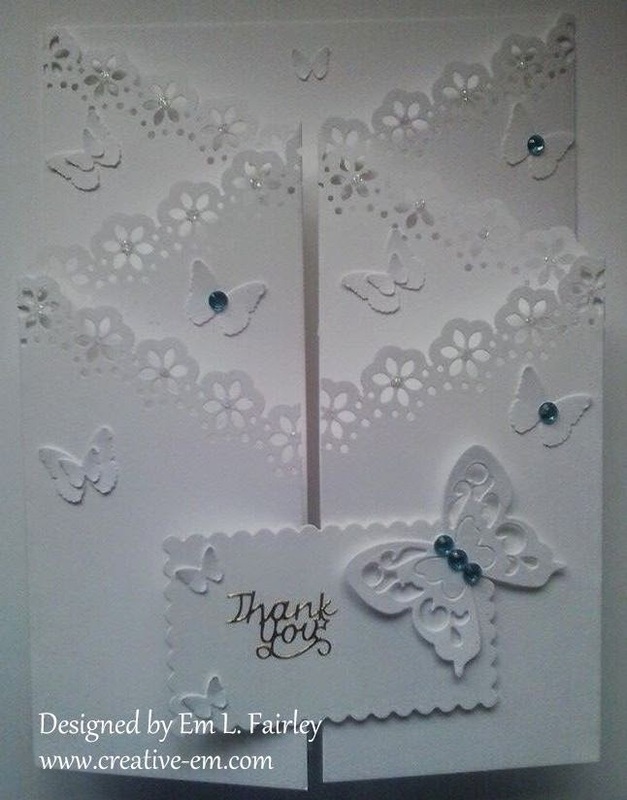 I've created the card in my favored white-on-white style and I'm really happy with the result, as is Vicky and hopefully by now her children too. The elements I've used are the same as with recent ones, Tonic Studios Daisy 2 edge punch, larger freebie butterfly die, a Martha Stewart punch for the smaller butterflies, scalloped rectangles from Spellbinders. The card has been completed with the addition of self adhesive blue gems and a peel off sentiment. 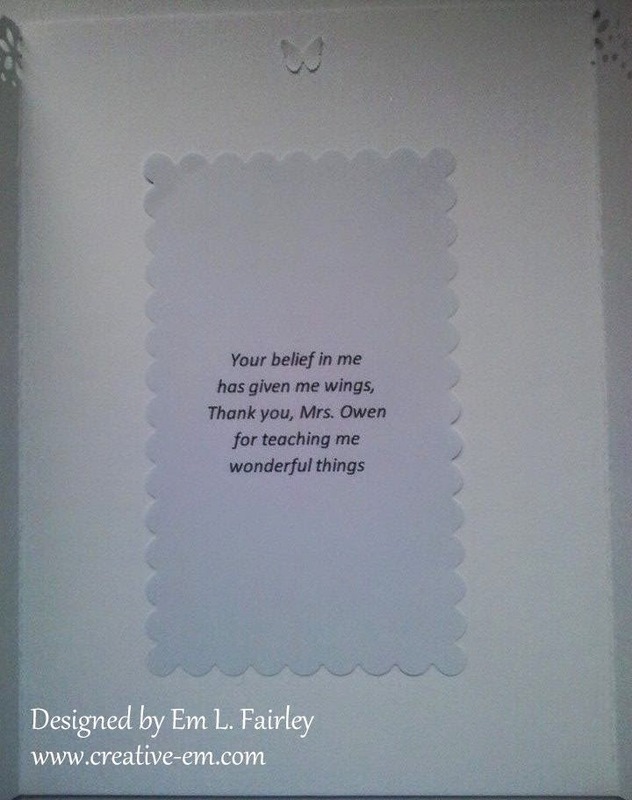 A lovely shaped card with a brilliant sentiment /verse. Love the scalloped edge shown to perfection here. Also the pop of Blue colour. Thank you for fluttering by #8. Hugs Mrs A. (Butterfly challenge). Beautiful and elegant. I love it. I'm sure those teachers are going to love their cards and treasure them. Thank you for stopping by my blog and leaving a very sweet comment. So pretty and very much appreciated I'm sure! Gorgeous...love the fold of your card.